With an impressive fleet of 153 aircraft, WestJet’s comfortable cabins and seating configuration will ensure you have a safe and comfortable flight. The improved aerodynamic performance of the aircraft reduces fuel consumption by up to four percent. Whether you’re a WestJet Rewards member, or a first-time customer, WestJet’s simplicity and efficiency ensure that you only pay for what you need, with extra perks along the way. No wonder they’ve recently been named Canada’s most trusted airline! With 105 destinations in their route network, and a total of 175 through their global partners, you are guaranteed to find a flight within Canada and the more popular cities of the U.S., Mexico, Europe, and islands in the Caribbean. 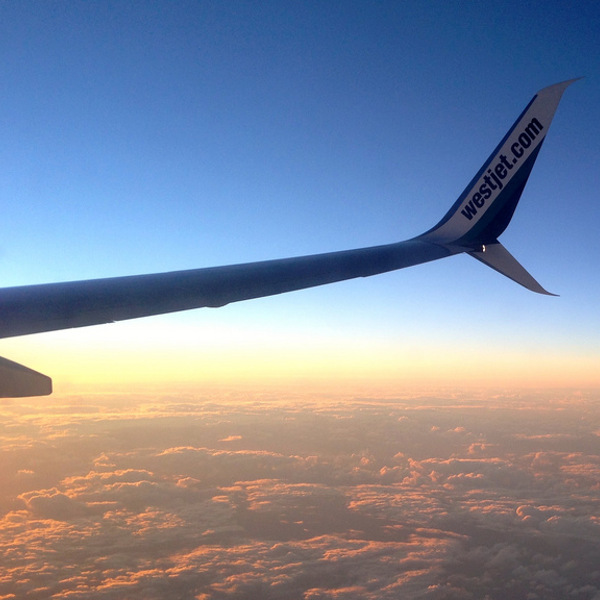 Evolving from its humble beginnings in 1996, WestJet has gone on to serve over 22 million travellers each year. 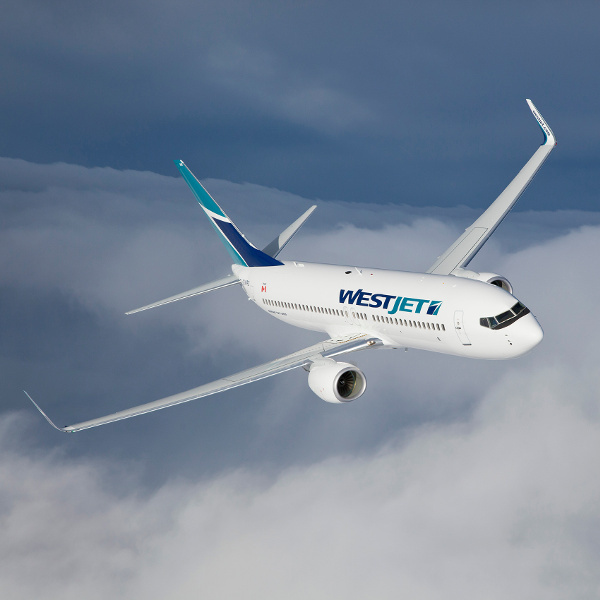 Through its global partnerships, WestJet flies to over 175 destinations, with 720 daily flights across their network. So, rest assured, you’re guaranteed to find a flight anytime! True to its Canadian heritage, WestJet is described as being a friendly, fun and caring airline. When they’re not servicing their loyal customers in the air, their commitment to community investment on the ground is equally significant, with numerous development projects on the go. WestJet’s award-winning service is one of its most distinguishing assets. Of the countless awards it has won over the years, it has been nominated as Canada’s most trusted airline since 2016. Book WestJet flights to Florida, Ontario, London and other exciting places! Online baggage payment is available from 24 hours to 60 minutes before flight departure. Travellers with a Flex or Plus ticket can check in their first bag for free. Each bag may not weigh more than 23kg otherwise, oversized baggage fees apply. Econo or Member Exclusive ticket holders are not granted free baggage, but may purchase 1 bag of checked luggage for C$25-29.50. Thereafter, the second bag is charged at C$35-41.30. Third and fourth bags can be checked for C$100-118, across all ticket classes. If you simply can’t leave your beloved pets at home, WestJet is happy to welcome them aboard! If your pet is travelling in the cabin with you, expect to pay between C$50-59; while animals flying as checked baggage incur a fee of C$75-88.50. All passengers are entitled to one piece of carry-on baggage (53x23x38 cm) and one personal item (41x15x33 cm). Please note that the airline reserves the right to place carry-on items in checked baggage (at no cost) if cabin space is limited. Check in to your flight easily and conveniently with WestJet’s multiple check-in options. Online check-in is available 24 hours to 60 minutes before take-off. You are able to choose your seat, print/email your boarding pass and add any additional baggage you may require. If you’d prefer to check in at the airport, there are plenty of kiosks and guest assistance counters to check you in. Anyone travelling to the U.S. will need to present their valid passport and reservation number, along with their hotel name/ destination/ transit airline. Travellers are advised to be checked in to their flight 90 minutes prior to departure (if travelling within Canada) and 2 hours prior to international travel. Pets and kennels must be checked in at least 2 hours before departure for all travel. WestJet has a range of inflight services and facilities for your enjoyment. Purchases can be booked ahead of time, or on board. Econo fare passengers can choose between Standard and Exit Row seats at an affordable rate. Please consult WestJet’s website for a detailed breakdown of their fees. Those looking for little extra perks and legroom can upgrade to a Premium Economy experience with a Plus fare. Guests seated in Plus can look forward to inflight treats, ranging from snacks and beverages, to premium meal selections and hot towel services. Most flights include complimentary drinks and a snack while delicious, freshly-prepared dishes and wines are available for purchase on board. Make the most of WestJet’s inflight entertainment with a range of movies, TV shows and live TV at your fingertips. Stay connected with various internet packages available during your flight. Most seats include USB charging ports and laptop power points. As Canada’s second-largest airline, WestJet serves 36 cities within Canada and 21 across the United States.